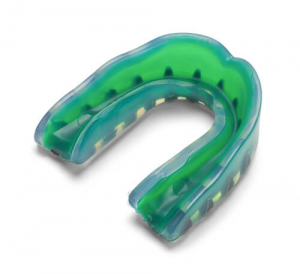 Mouthguards and biteguards for your teeth are like airbags in a car – cushioned appliances that protect your teeth and gums from injury and damage. According to the American Dental Association, 10-15% of adults are affected by bruxism (grinding and clenching of teeth against each other). Studies have shown that one of the most common times of day when bruxism occurs is at night when we are sleeping. Are you wondering if you grind your teeth at night? Do you notice or experience any of the following signs and/or symptoms? At Family Roots Dentistry, we make a customized nightguard to protect your teeth, gums, jaw joints, and facial muscles from further wear and tear. A similar individualized appliance called a dayguard can be made if you notice any of these signs and symptoms throughout the day. 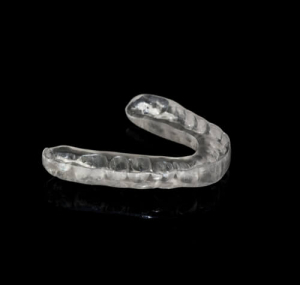 In addition to nightguards and dayguards, we also fabricate custom-fitted TMJ guards (also referred to as “occlusal splints”) to treat temporomandibular disorder (TMD) of the jaw joints. Read more about TMJ Therapy here. 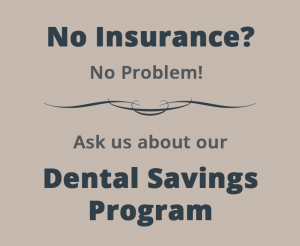 For more information and to find out which option is right for you, please call us at (815) 318-0620 or contact us today.